Relaxing & peaceful...exactly how we wanted it! Accommodations were outstanding and much more than we ever expected. The views were gorgeous and loved watching the surfers and whales from the balcony! The condo was very relaxing and sufficiently stocked for all of our needs. We look forward to coming back and staying here again! The view is wonderful.We saw turtles right off the balcony, whales too. Condo has everything you need to have fun and enjoy yourself. There's always something going on out on the water. Even the birds look like they enjoy themselves!The sound of the waves are very relaxing. 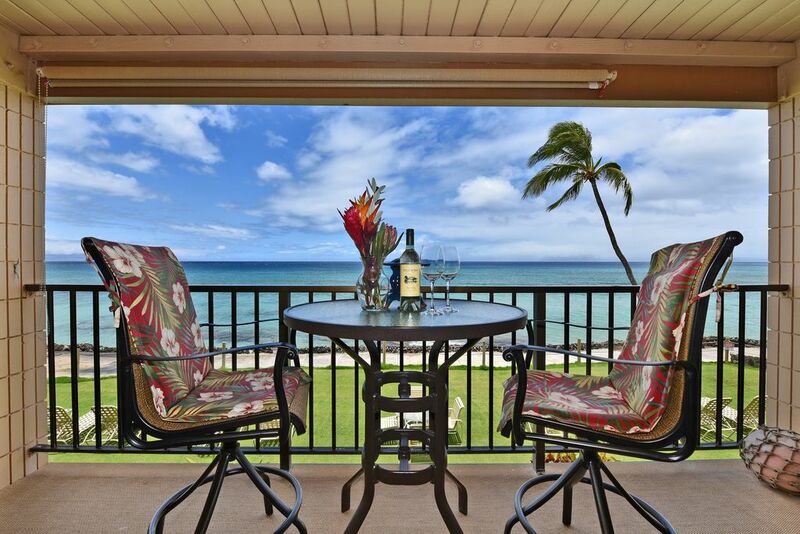 Amazing ocean views from the lanai - not to mention watching the turtles and rainbows every morning. Condo was clean, very comfortable and equipped with everything we needed for our stay! The condo was clean and well appointed with everything we could need for the perfect vacation! We saw a whale splashing around at sunset from the lanai where we spent every evening. Such a relaxing trip! It was awesome. The veiw was second to none. The rental was very nice with all the amenities we needed to enjoy our stay.would rent again.